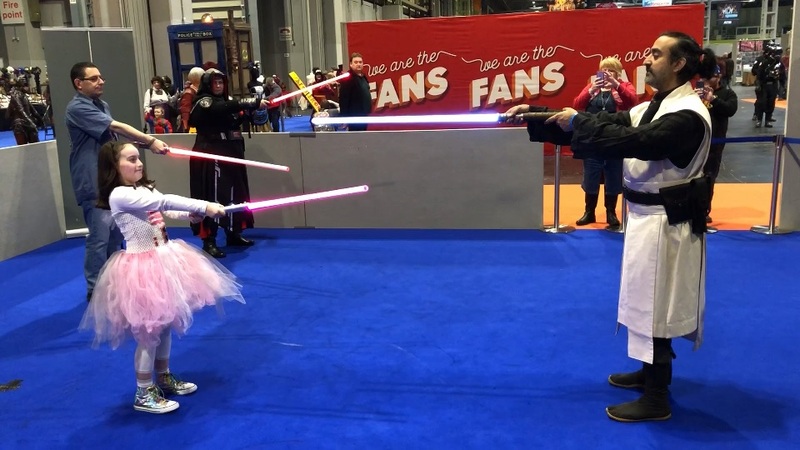 Have you ever wondered what it is like to duel with a lightsaber? 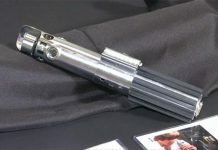 I know we have all fantasised about being a Jedi or a Sith using a broom, a snooker cue or whatever you can lay your hands on pretending it was a lightsaber. 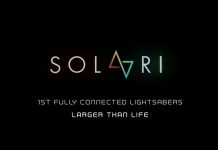 But now you can actually give it a go with a real (LED, not plasma!) 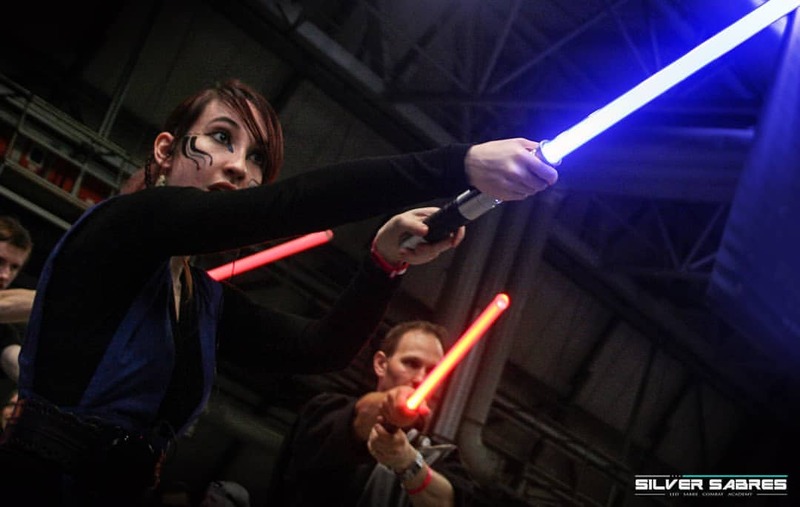 lightsaber and keep fit at the same time! 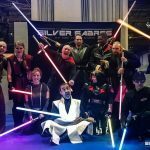 Silver Sabres is a group of Star Wars fans with a grounding in various martial arts and traditional sword arts who come together to teach us ‘padawans’ the way of the lightsaber. 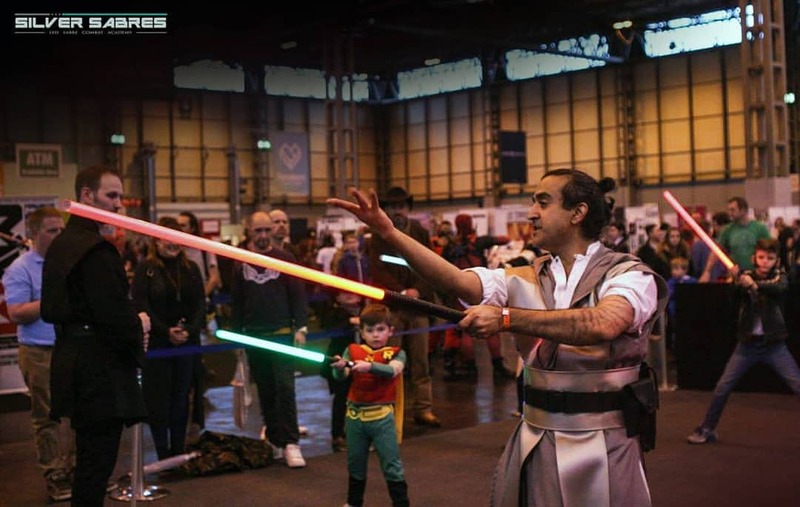 Taster sessions are usually ‘sold out’ very quickly at Comic-Con events around the UK and from personal experience these are fantastic to get involved with. 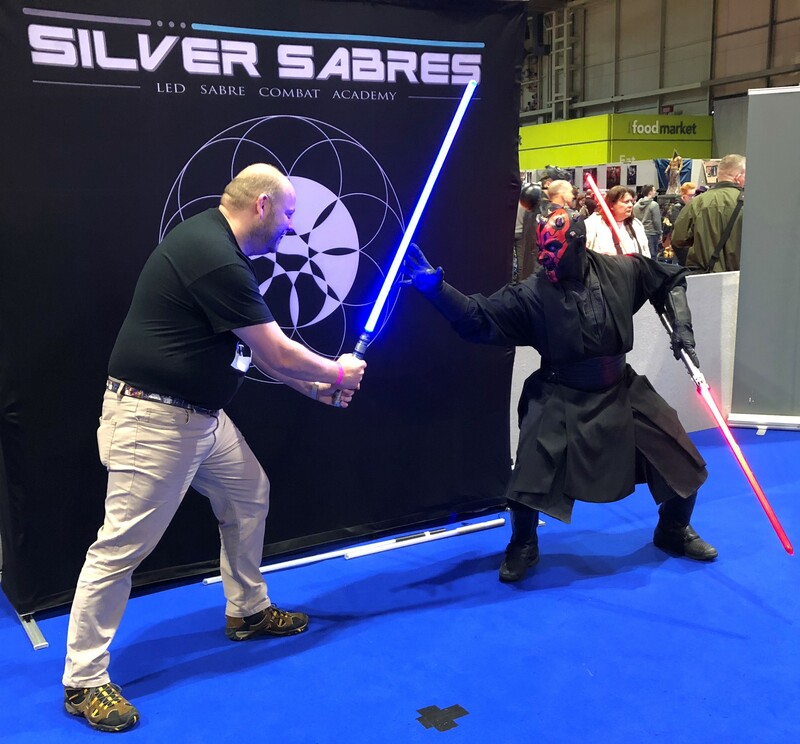 Back in March 2018 at MCM Comic-Con Birmingham, Silver Sabres treated Team Jedi News to their very own session to promote their great work. 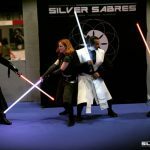 The group is headed up by Faisal (Fas) Mian and Nick Musson, and Jedi News got chance to talk to them about what Silver Sabres has to offer. Hi Fas and Nick, can you start by telling us about about yourselves? 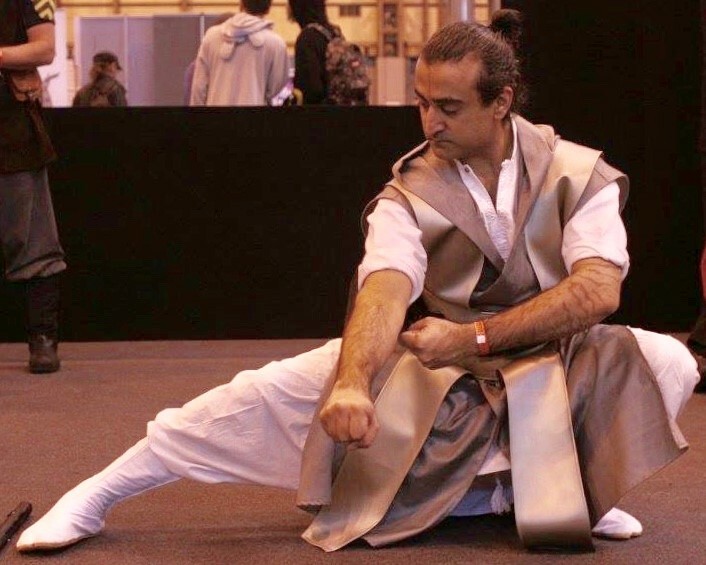 Fas: I’m a 6th Generation student of Traditional Wu Shi Tai Ji Quan (Wu Style Tai Chi), training since 1995, and teaching since 2004. I am an apprentice (tudi) to Michael W. Acton, a 5th generation indoor student of Grandmaster Li Liqun of Shanghai. I have been trained in both slow and fast unarmed forms, Jian (double edged straight sword), Dao (single edged broadsword/sabre) and Spear. But prior to discovering Taiji Quan, I fenced Sabre for 5 years. 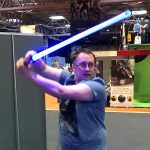 I’ve worked with actors and fight directors, dancers, musicians, martial artists and stuntpersons, teaching martial technique, self defence, postural correction and therapeutic Qigong.I am also a senior instructor with the Wu Shi Taijiquan & Qigong Association, and partner in a private therapeutic clinic in north London. I also teaches in universities, schools, health centres, community centres, seminars and conventions. I’m a fully qualified physical therapist, anatomist, personal trainer and gym instructor, and have additionally been working with children for over 25years. Nick: I have been training in Martial Arts since 1980. 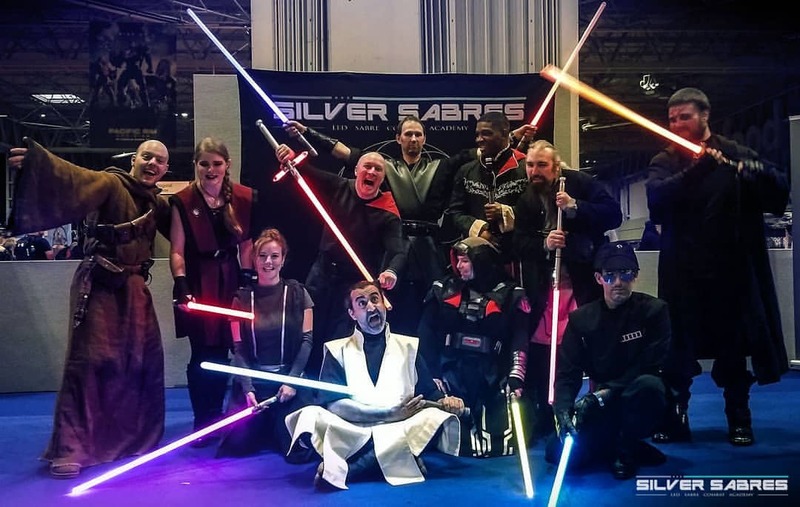 Having first trained in several traditional Eastern and Western Martial Arts, both armed and unarmed, I then went on to exclusively study and teach European Sword Arts, which then led me to forming and running my own organisation ‘The Free Fighters Guild’. 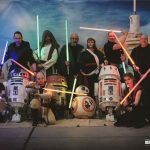 I’ve taught western sword play and weapons combat in both a full and part-time capacity for over fifteen years. 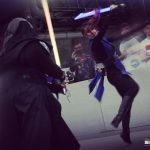 It was during this time that I re-interpreted what is arguably at least a 500 year old method of understanding combat techniques and principles, via the application of Geometric Principles to the weapons being used. 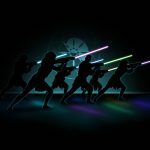 This led me to formalising and developing a Geometric based Combat system Called ‘The Eight Spheres Geometry of Combat’. 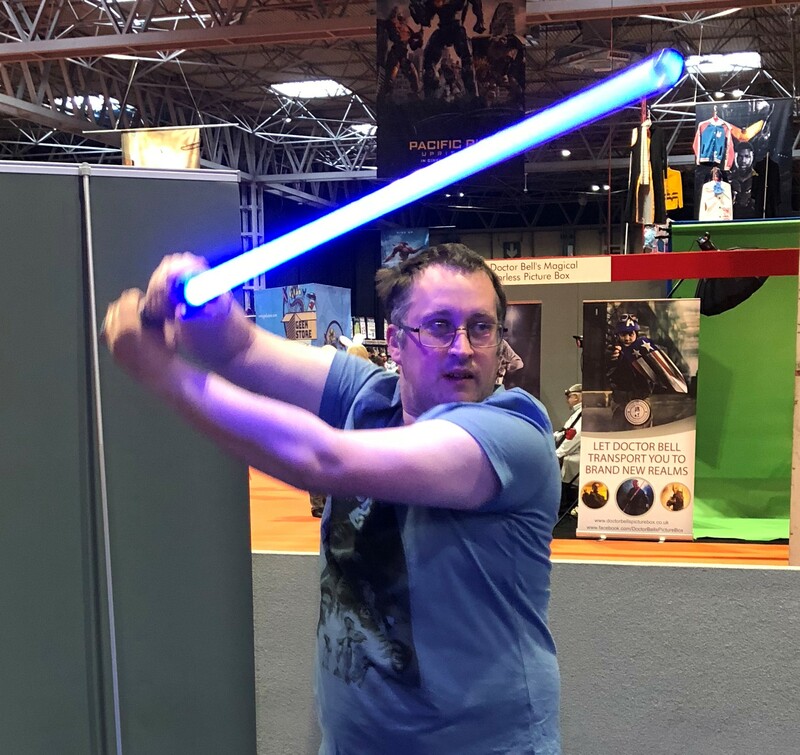 As well as teaching a range of different weapons’ disciplines, Nick has also given fight performances and displays for a number of high profile national organisations, and of course, he is also a huge fan of the Star Wars films and the lightsaber! Wow, that’s 2 pretty impressive CV’s you have there! 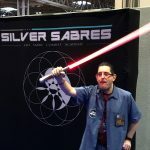 So how did Silver Sabres get started? Ah, it’s nothing new! 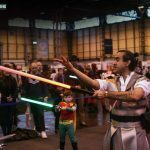 We’ve been training in sword arts for many years, and at the time I had been trying to start Taiji classes for children. 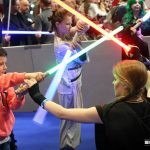 When I was introduced to the LED Sabre, it seemed like an obvious way to help the children focus on the activity, and to help inspire them to practice. What was a total surprise was the fact that a well-balanced LED Sabre was actually an excellent practice sword! And it allowed Nick and I to return to our roots and get involved in sparring the way we used to do, but without the constant risk of injury that we used to live with when training with steel or wood. It’s one thing to throw caution to the wind as young men, it’s another thing entirely when you have to work the next day and be a dad! 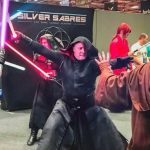 What is the goal of Silver Sabres? 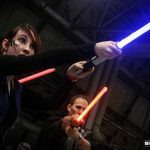 Is it more than just combat skills? 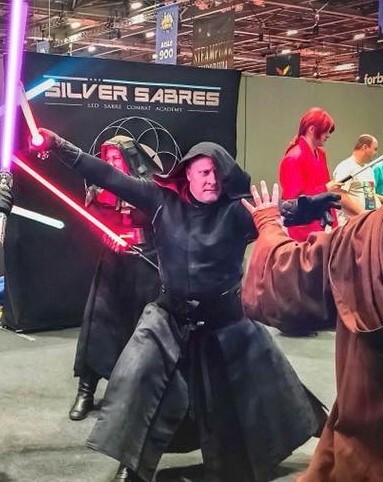 Erm… well, to be honest, the main goal of the Silver Sabres was always combat skills… And when I say combat, I don’t mean competition or display fighting, I mean the traditional techniques derived from battlefield traditions that are at risk of disappearing entirely these days. 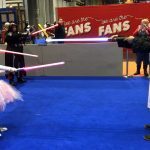 On our journey, we’ve picked up a few other goals mainly that of having amazing fun and getting to dress up and entertain the crowds! It was originally just something we did for ourselves, but rapidly evolved into a community of people passionate for the art. 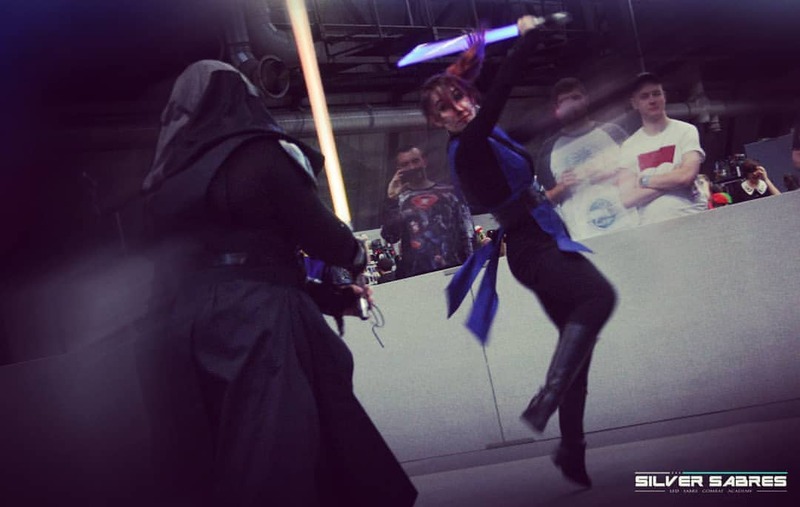 I guess you could say that our goal is to try and create an experience that people enjoy, whether participating or spectating, giving everyone the opportunity to keep fit, all whilst preserving the refined art of swordplay as passed down generation after generation through the centuries. 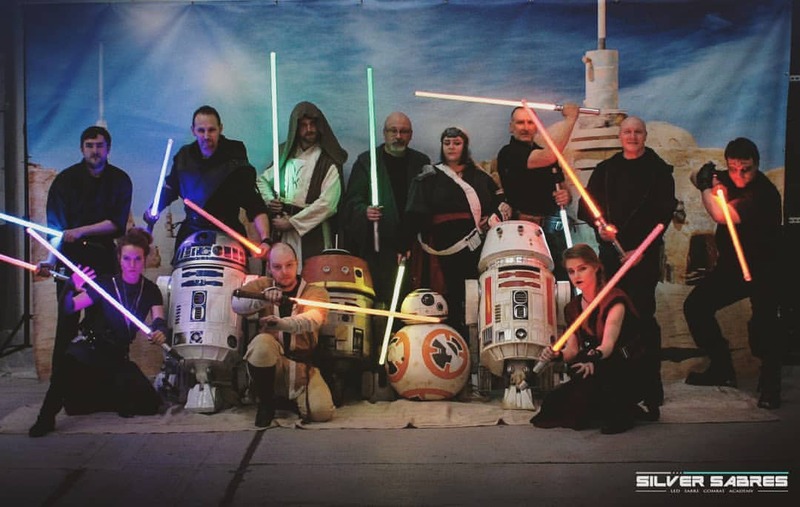 How many classes do you run and how many members do you have? Gosh, we have several classes in London, Milton Keynes and Northampton that are doing very well, and also now we have a new academy in Sussex that is also growing rapidly. I guess we must be well over a hundred students now! Are there any restrictions on age or physical abilities to attend? Personally, I teach under 13’s classes, and adult classes (which means 13yr olds have to attend adult classes!) with the youngest students starting round the age of 5. 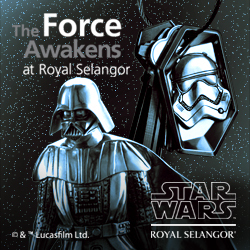 From around the age of 7+, we find students able to follow the syllabus independently, but younger students can also participate if their parents/guardians join in the training alongside them. It’s a fantastic opportunity to bond and develop a relationship where they share something special. 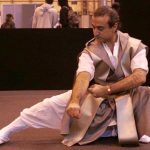 We have a very broad range of physical abilities attending the classes, from professional dancers and figure skaters, and all manner of martial artists, all the way to people who haven’t exercised in a long, long, long time. We pride ourselves on being professionals, and are able to adapt the content to suit every individual, pushing some students harder, whilst giving others space to develop at their own pace. We are perfectly happy to deliver sessions to wheelchair users and students with special needs, with everyone benefiting from the opportunity to increase their physical literacy and engage in the practice of mindfulness. 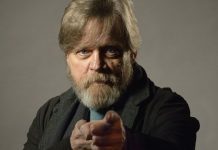 You’re stood here dressed in Jedi style robes, what do the members usually wear when attending a class? Whatever they like! As long as they’re comfortable and safe (and decent! ), we’re happy! We don’t believe in uniforms and suchlike, leaving it to people to be creative and decide for themselves. 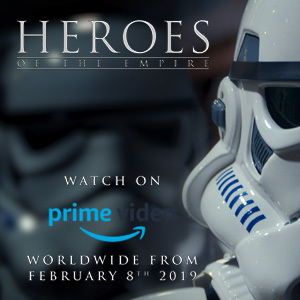 Our focus is on helping people to understand the art form, and enforced conformity is the antithesis of the critical thinking and imagination needed in any art. Is it just practice and demonstrations or are there any organised competitions? 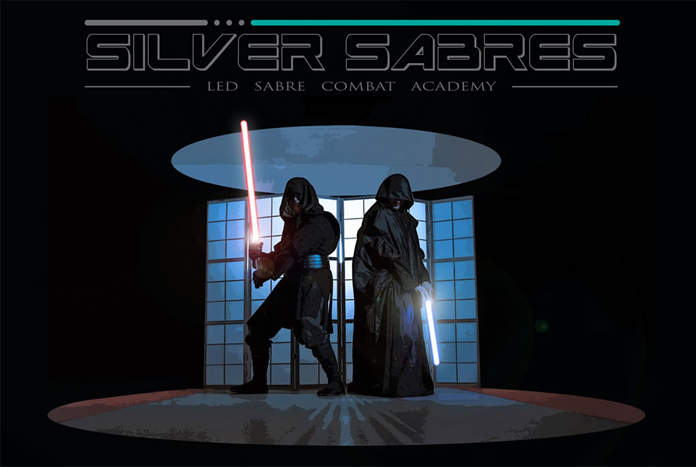 Yes, we have our first UK Open LED Sabre tourney taking place in August! 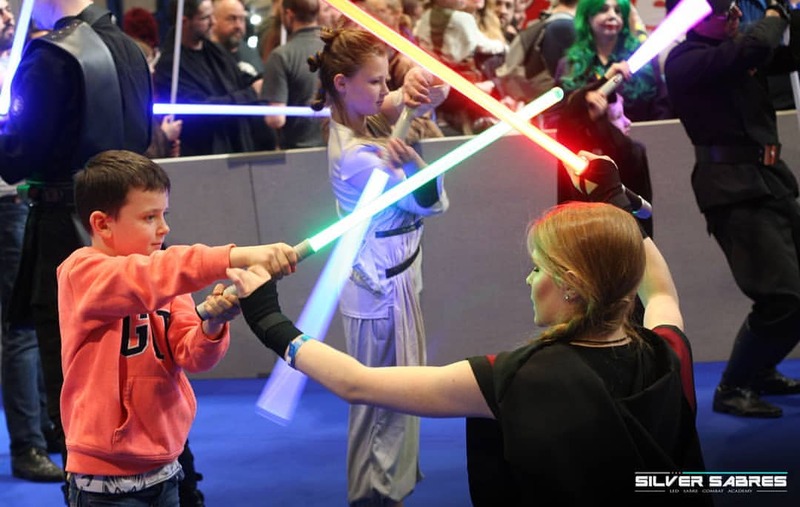 This is a format designed to be accessible to other groups as well, to try and bring all practitioners into one space to have fun and entertain the crowds. 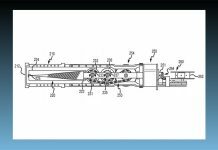 Is there any type of grading system? 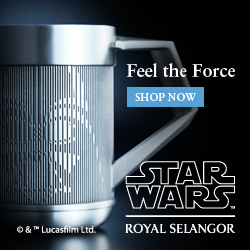 So, when you start are you classed as Padawan and then you can aspire to become a master? The syllabus has a very clear progression of exercises and drills, with 5 levels that will take years to work through, but we often have students studying content from more than one level at the same time. We don’t want to build a pyramid and create an elitist hierarchical structure, rather we just want people to treat each other fairly and with respect, simply because we’re all just people, not because of any rank or authority, so we try to avoid grading’s and belts and suchlike. Grading are a great way to make money, but it’s not necessary. It’s enough for people to pay for regular classes without stinging them with extra costs every few months. 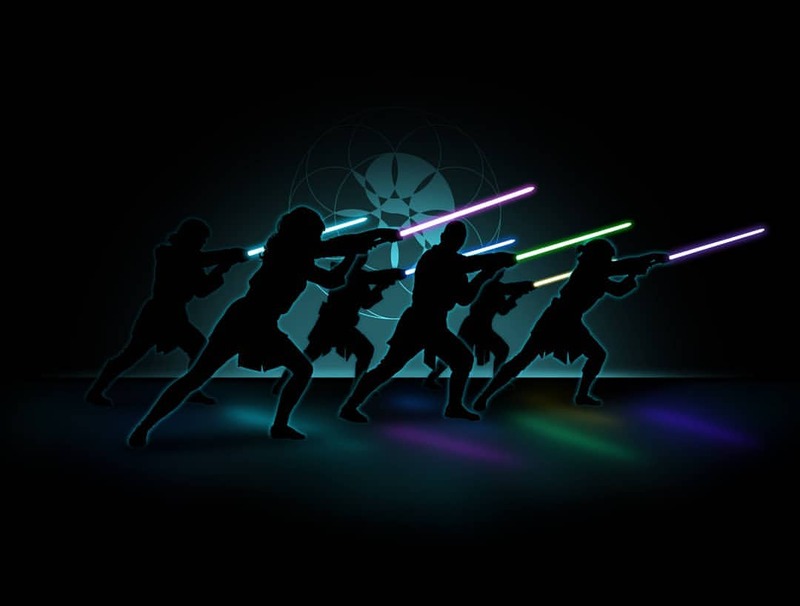 Where do you get these amazing lightsaber’s from? 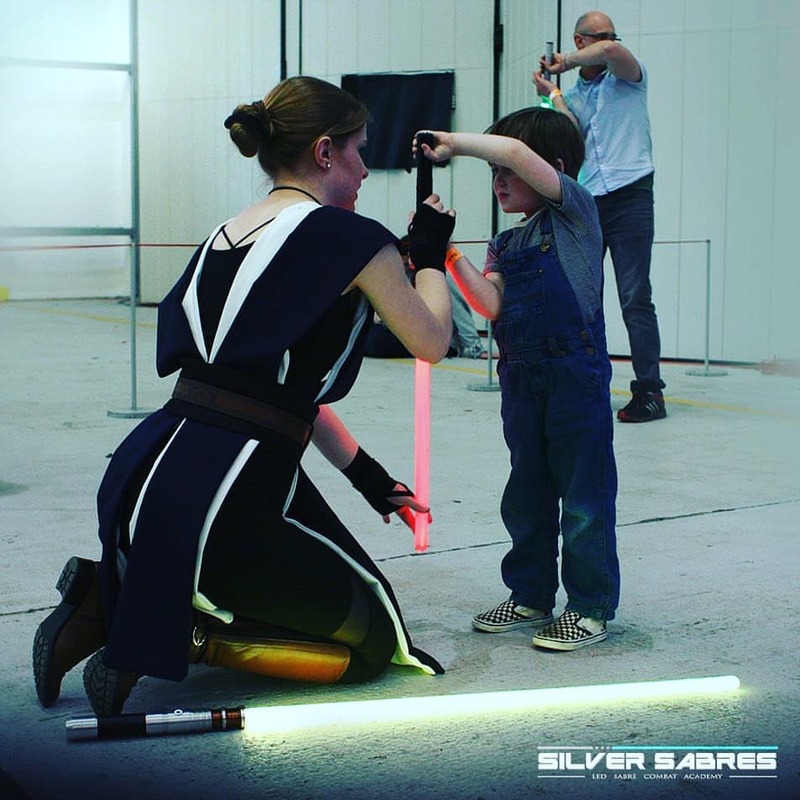 We buy our sabers from the amazing JQSabers and their affiliates, but students are allowed to use any sabre they like as long as they’re safe. 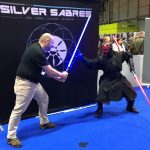 Silver Sabres is predominantly based in the south eastern regions, are there any plans to expand to other parts of the UK? 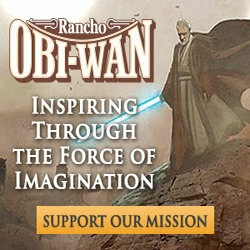 We’re looking for instructors. We have a professional coaching program, which is suitable both for experienced coaches and also for people who have never done it before. The only real difference is the amount of time people need to invest in training before they are able to teach a class of their own. As soon as we have a qualified instructor available in an area, we will do everything in our power to establish a new class and build a local community of practitioners. For anyone thinking of trying this, be warned, it’s hard work. There are no shortcuts or hacks. The only way to get there is through sweat and tenacity. But it’s worth it! 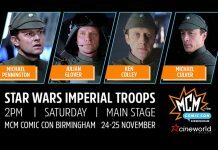 What events will you be attending over the next few months? 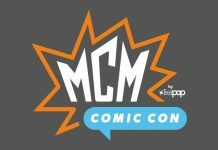 Our next big event will be MCM Comic-Con London at Excel on May 26th and 27th! 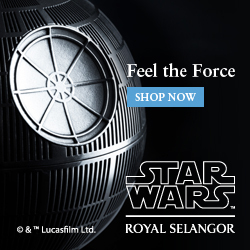 Visit our website and get in touch! 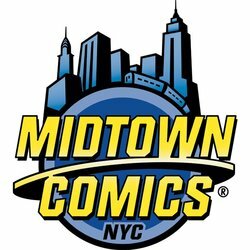 If we have a class nearby, book yourself in and start having fun! 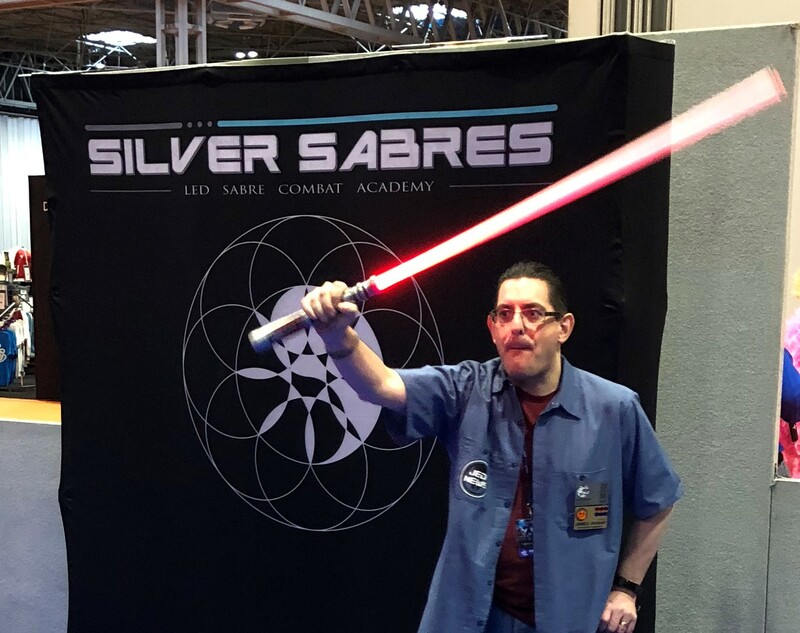 Many thanks to you both, and to the whole team from Silver Sabres for the demonstration. 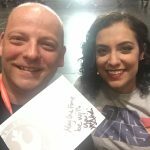 I know our arms are aching, but it’s been real fun for team Jedi News to have had a go. 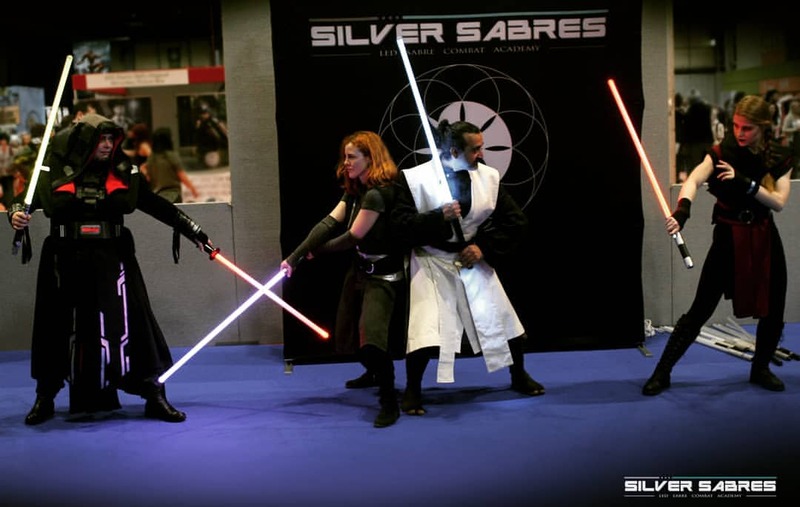 Silver Sabres have their very own website and can be found via Social Media on Facebook, YouTube and Instagram. Be sure to check them out and give it a go when you next attend an event or even join one of their classes near you! 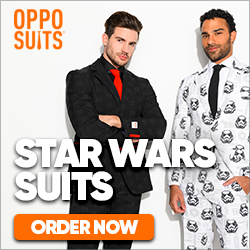 If you do, let them know Jedi News sent you.